This image was taken on November 28, 2010 and received on Earth November 29, 2010. 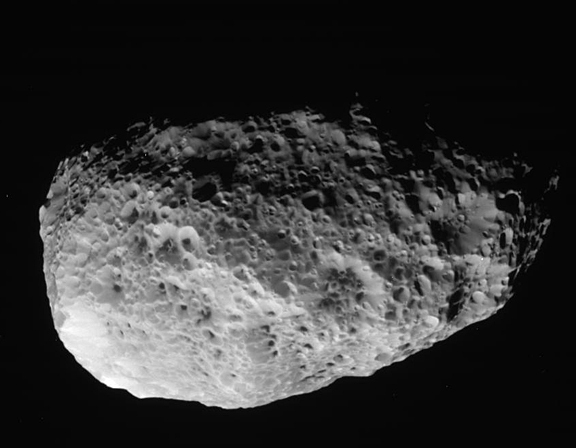 The camera was pointing toward Hyperion at approximately 74,217 kilometers away, and the image was taken using the CL1 and CL2 filters. This image has not been validated or calibrated. A validated/calibrated image will be archived with the NASA Planetary Data System in 2011. This image was taken on November 28, 2010 and received on Earth November 29, 2010. 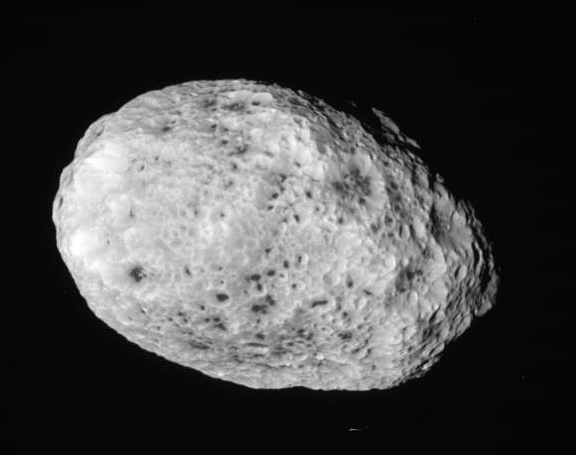 The camera was pointing toward Hyperion at approximately 131,655 kilometers away, and the image was taken using the CL1 and CL2 filters. This image has not been validated or calibrated. A validated/calibrated image will be archived with the NASA Planetary Data System in 2011. \r\n\r\nThis image was taken on November 28, 2010 and received on Earth November 29, 2010. The camera was pointing toward Hyperion at approximately 74,217 kilometers away, and the image was taken using the CL1 and CL2 filters. This image has not been validated or calibrated. A validated/calibrated image will be archived with the NASA Planetary Data System in 2011.